Industry leaders regularly rely upon Eldon Rude’s keen and candid insight into factors influencing supply and demand for varied real estate products. Eldon’s areas of expertise include single and multi-family housing as well as commercial property types such as office, retail and industrial. His 30 years of real estate experience also encompasses work with city, county, state and federal agencies. Before founding 360° Real Estate Analytics, Eldon served as Director of Metrostudy’s Central Texas Region. At Metrostudy for nearly 17 years, he worked closely with the firm’s builder, developer and lender clients to provide guidance on market trends and help them navigate the inevitable cycles of the real estate economy. In addition to on-going market assessment, he conducted quarterly client briefings and oversaw the company’s consulting practice for Austin and San Antonio, undertaking a variety of consulting assignments and related research projects. Prior to joining Metrostudy, Eldon was a partner at The Aegis Group, Inc. He obtained his MAI designation in 1990 and practiced commercial real estate appraisal for 12 years in Austin and San Antonio. He began his career in real estate at R. Robinson & Associates in 1985. Eldon has provided valuation services for most all commercial property types including office, industrial, retail and multi-family, as well as condemnation and special-purpose properties. Eldon is a finance graduate of the University of Texas at Austin and has lived in Austin since 1979. 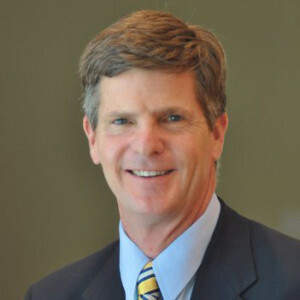 He is active in numerous professional organizations including the Real Estate Council of Austin (RECA), the Urban Land Institute (ULI) where he is a member of the management committee and advisory board and served two terms as programs chair, and the Home Builders Association of Greater Austin (HBA) where he serves on the board of directors and on the home PAC and membership committees. In 2013, he received the HBA President’s Award. With deep roots in the community, Eldon is proud of his more than 20-year involvement with the Austin Sunshine Camps, one of the city’s oldest and most established programs serving Central Texas children living at or below the poverty line. He served on the camps’ capital campaign steering committee helping the organization reach its $3.5 million goal in 2013 to rebuild the camp located within Austin’s historic Zilker Park.